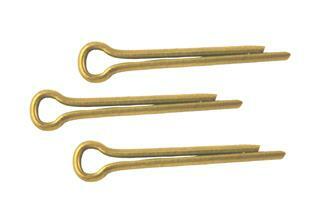 Brass cotter pin set for oil side lights and tail light. How many pins are in the set? There are 3 pins in the set. 4 out of 8 found this answer useful.